It's been a loooooooooong week month, my friends. 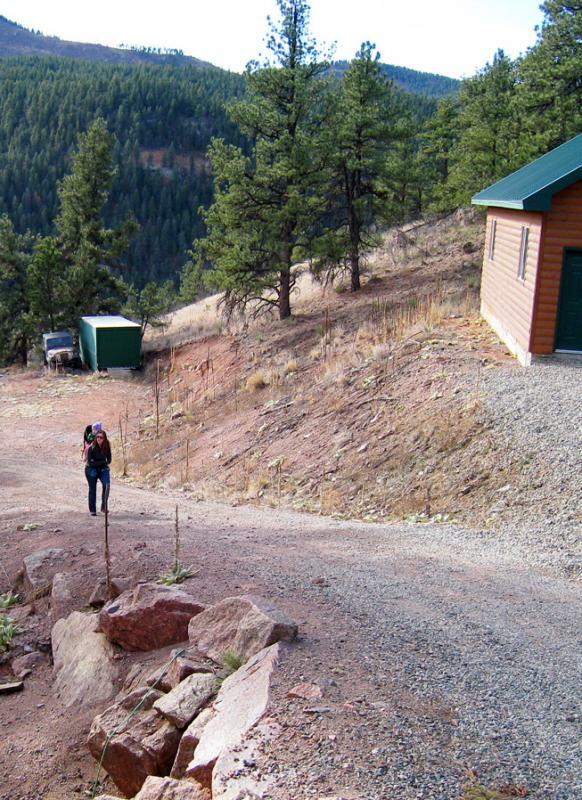 In the moments when we should have been filled with joy and excitement after finally going under contract on a new mountain house (remember what happened to the first one? ), we received the news that my father-in-law had a major heart attack and was being rushed to the hospital for immediate surgery. My FIL, barely 58, had a total blockage of his left anterior artery after a piece of plaque ruptured, flipped sideways, and completely stopped the bloodflow. He wasn't doing anything crazy. He was sitting at his breakfast table catching up on some reading. He is ok and should have a full recovery (he was in surgery within 2 hours of first feeling the chest pain and the doctors said no permanent damage was done), but we are all a bit shaken up. My FIL's younger brother had THREE damaging heart attacks just a few months ago and has had to make significant life changes because of it. More exercise - the great news about our new house is that it is very close to a large park with running trails, hiking, and river frontage. We will be more active as a family, even if it's just 30 minutes after work hiking together (or snowshoeing, come January!). Less red meat - I am going to reserve ONE night a week for red meat. 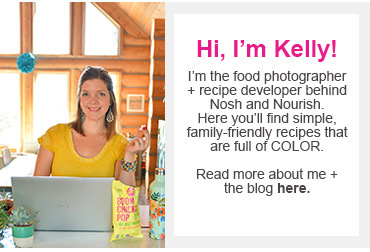 And we're going to eat more fish, like the fish taco recipe I'm sharing in this blogpost! So per week, I'll aim for: 1 night red meat, 2 nights fish, 2 nights vegetarian, 1 night chicken, 1 night leftovers (or shrimp). Less full-fat dairy - I'm doing a dairy-free 6 weeks through the new year, and finding alternatives that we're all enjoying. I love my Chobani though, and look forward to reintroducing it to my diet a couple times a week starting in January. We will definitely eat less full-fat cheeses than we used to though, use Daiya whenever possible, and keep up the almond milk as a cow's milk alternative. Less "bad" snacks - less chips, less breads, less baked goods, less junk. This is already pretty limited in our house, but I'm going to work even harder to help Dear Hubby make good choices too. 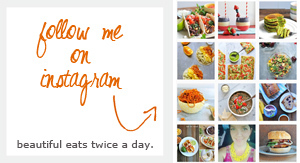 I have a great "Top 10 Healthy Snacks" post brewing for next week! 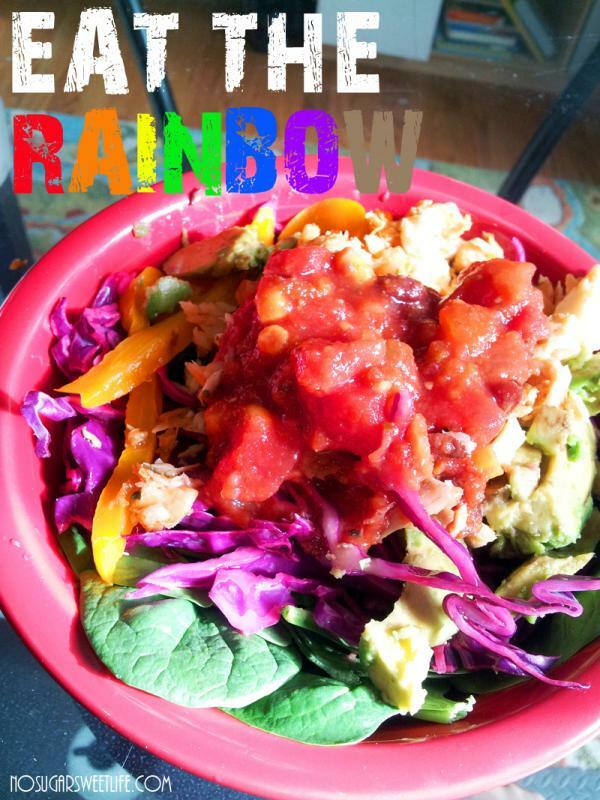 More colors - we will continue to try to eat a more colorful diet, to ensure we get a vast array of vitamins and minerals. 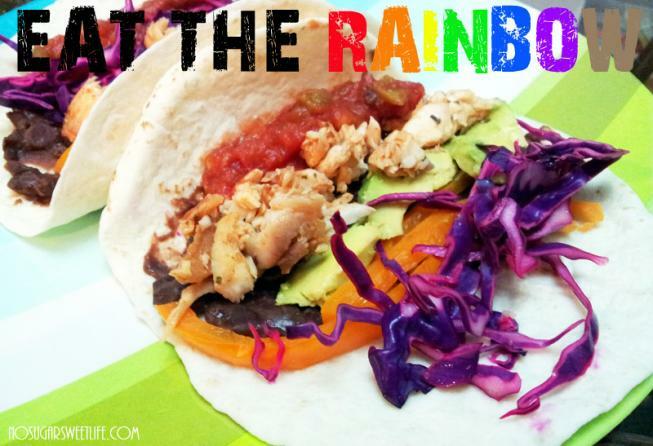 If you missed yesterday's rainbow post, be sure to go back and see all those colorful meals! I am in love with this meal and it will definitely be added into our weekly rotation. 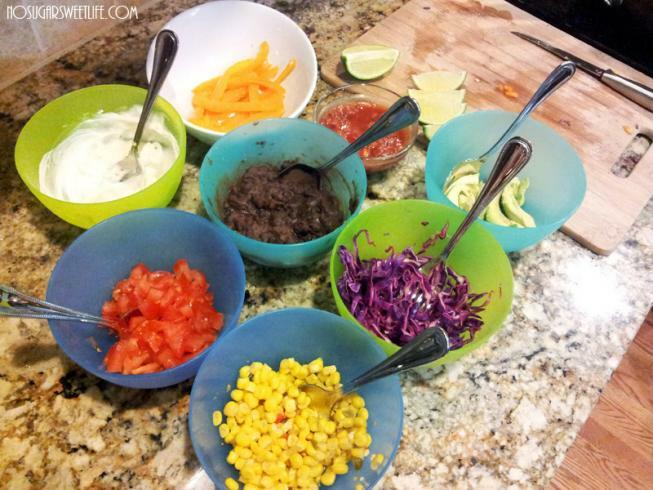 The toppings are soooooooo colorful and so good for us! White (fish & tangy greek yogurt sauce), Black (beans), Red (tomatoes), Green (lime juice & avocado), Purple (cabbage), and Orange (bell peppers). Even my veggie-hating hubby loved this meal and had all of the colors on his plate! For lunch the next day, I added all the toppings over a spinach salad. Yum x 2! I can't wait to officially move-in, get painting, and make it our home! Thaw fish, if frozen, then marinate for an hour or two in: 1 Tbsp Olive oil, 1 lime's juice, 1 tsp garlic, and 1 tsp paprika. Prep all toppings: dice tomatoes, shred cabbage, roast bell peppers (either in oven or microwave), create white sauce by mixing 1/2 cup olive oil mayo plus 1/2 cup plain greek yogurt. Pan sear the fish, approximately 6 minutes on each side. Partway through cooking, sprinkle on the Simply Organic fish taco seasoning. Warm up refried black beans and corn. Once fish is thoroughly cooked (white throughout, not clear/translucent), assemble your tacos! Make sure to grab a little bit of each color.